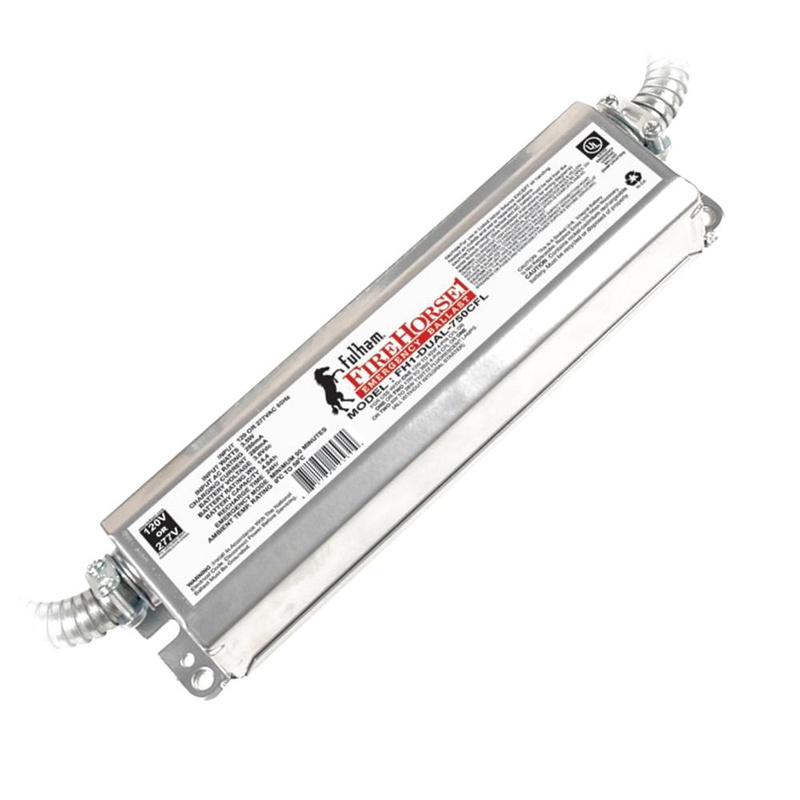 Fulham FireHorse™ Dual-voltage emergency fluorescent ballast is suitable for use with T5, T8, T10, T12, CFL and circline lamps. It has voltage rating of 120/277-Volt AC and current rating of 280-Milli-Amps AC. This remote mountable ballast has standard wire lead connection. It measures 13.3-Inch x 2.4-Inch x 1.5-Inch. This ballast withstands ambient temperature ranging of 0 to 50 deg C. It features 1-Pole test switch and LED charging light indicator. This ballast with instant/rapid starter, offers 1400-Lumens of maximum initial light output. It runs on Ni-Cad battery. Ballast is UL listed.